Standing up for the rights and best interests of our clients and their children, we assist people with a range of complex family-related legal issues. This includes those involving divorce, property division, alimony, child custody and support, paternity and stepparent adoption. It is our goal to help our clients achieve cost-effective and efficient solutions to their legal issues so they and their children can move forward. Dealing with family-related legal matters can be emotionally and financially draining. As an experienced mediator, our attorney works alongside those we represent toward amicable dispute resolution. While we work to obtain solutions through nonadversarial means whenever possible, our attorney knows that some issues cannot be settled outside of litigation. We tailor our approach to suit each client's unique needs and goals. We accept credit cards, and our law firm offers free initial consultations. 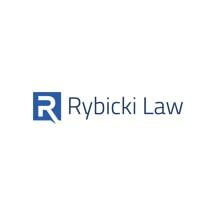 At the Rybicki Law Firm, PLLC, we know that business and personal matters often go hand in hand. In addition to providing compassionate family law representation, our attorney also provides focused business law counsel to business owners, executives and entrepreneurs. Our attorney offers honest counsel and creative solutions for forming business entities, protecting intellectual property and developing legal strategies. Our firm helps clients protect their business interests and promotes the growth of their businesses.